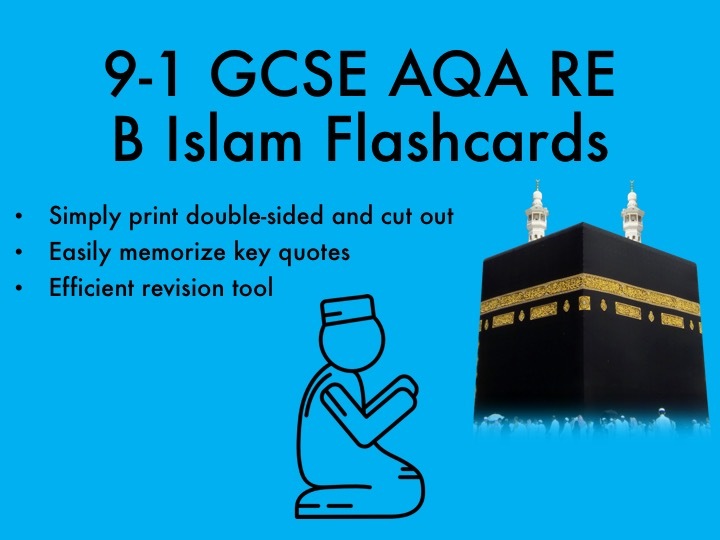 Student GCSE A*/Grade 9 Revision Resources which I created and used successfully in Summer 2018. 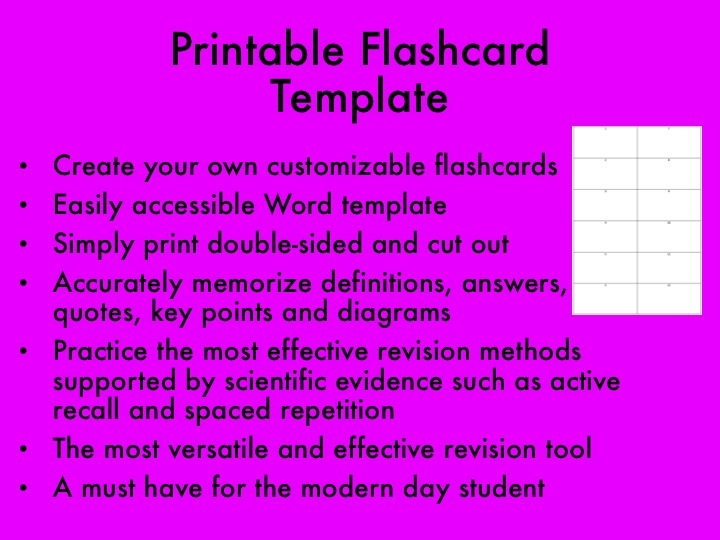 Easy to use Word template for making customised flashcards for GCSE and A Level revision. Type in your question/keyword on one page and then the answer/definition on the next page using the corresponding numbers. 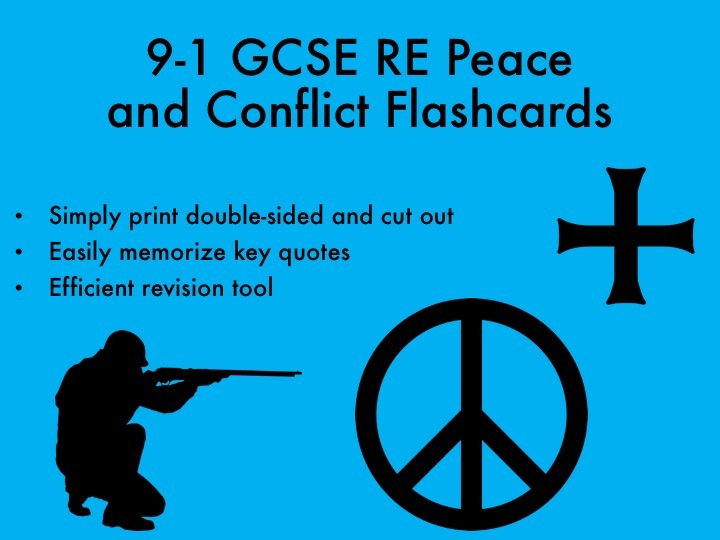 Print double-sided and you will have your own set of flashcards for the topic you have chosen to revise. 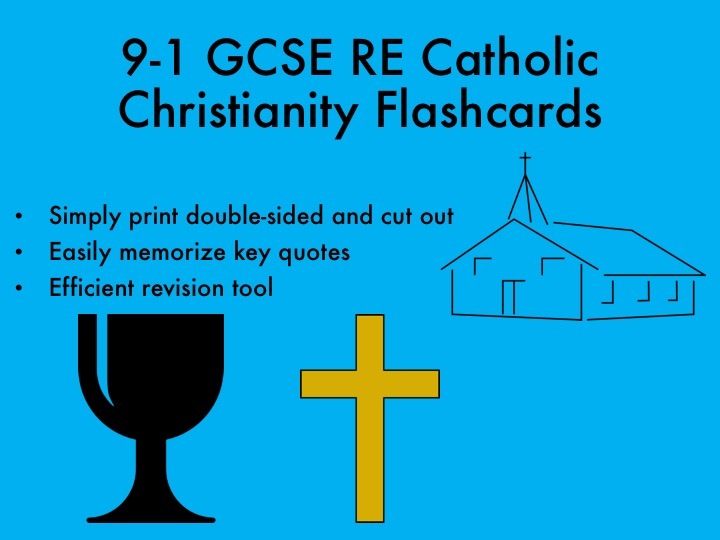 I used this template to create flashcards for the new 9-1 GCSE exams in 2018 and utilized it as my primary source of revision, ranging from learning quotes for English literature to IV graphs in Physics and vocab for both Spanish and German. 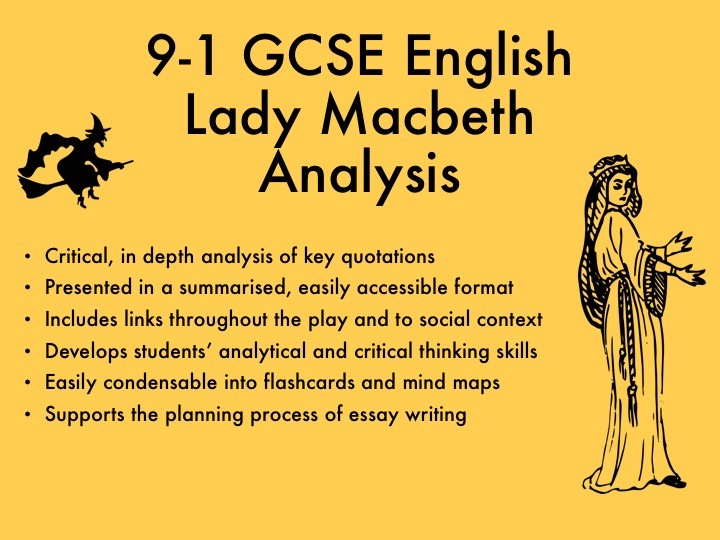 I achieved 5 level 9’s and 3 level 8’s in my exams which was largely down to the resources shared on my page. 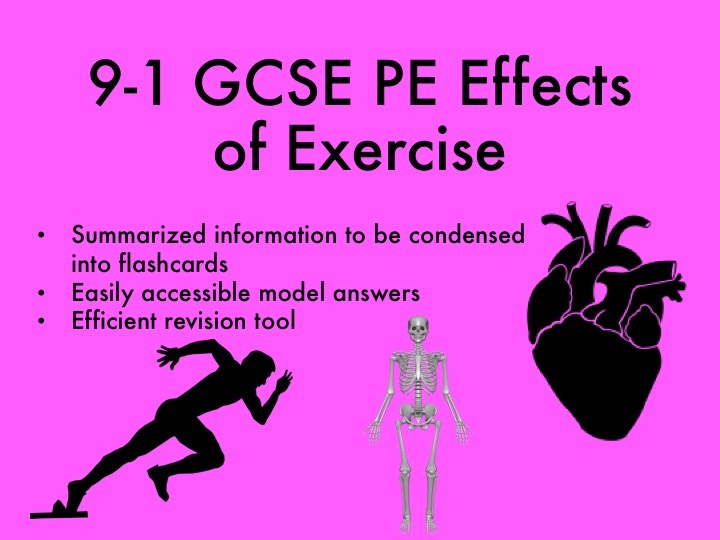 A user friendly summarised list of the effects of exercise on the human body which was specifically designed for OCR but is relevant to all exam boards. 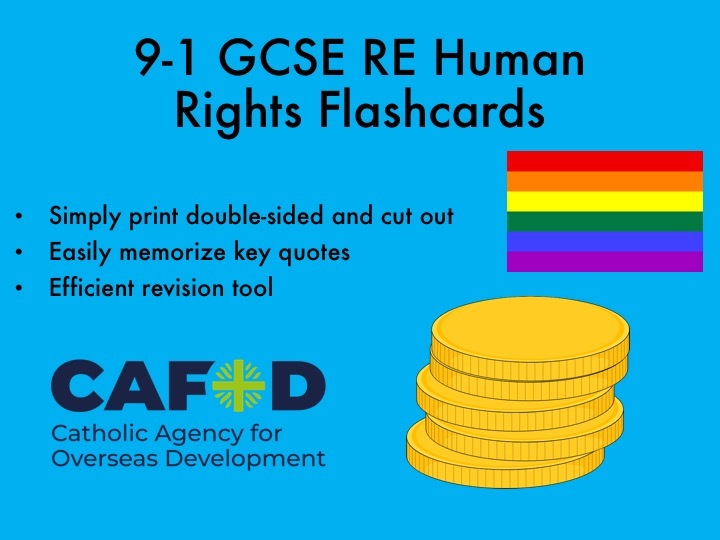 I condensed the summarised information in this document into my Printable Flashcard Template which I used to actively recall the specification accurately in order to improve my knowledge. 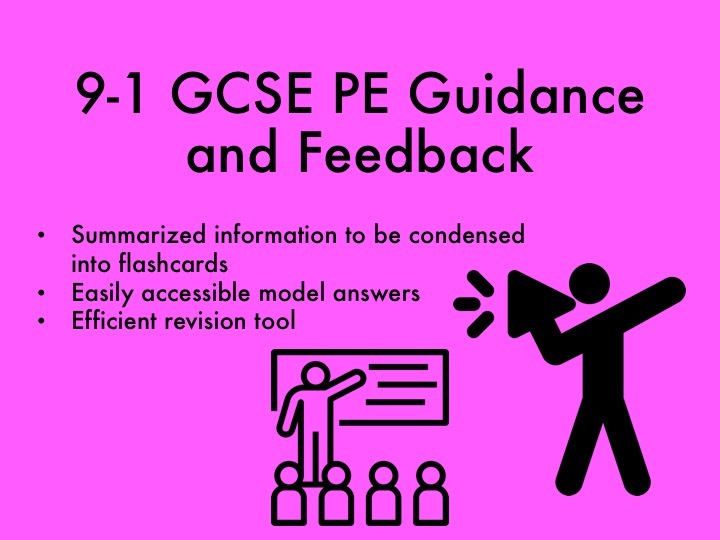 These were my main source of revision for the 2018 OCR PE GCSE exams in which I achieved a level 8 due to the summarised GCSE PE documents and Printable Flashcard Template on my page. 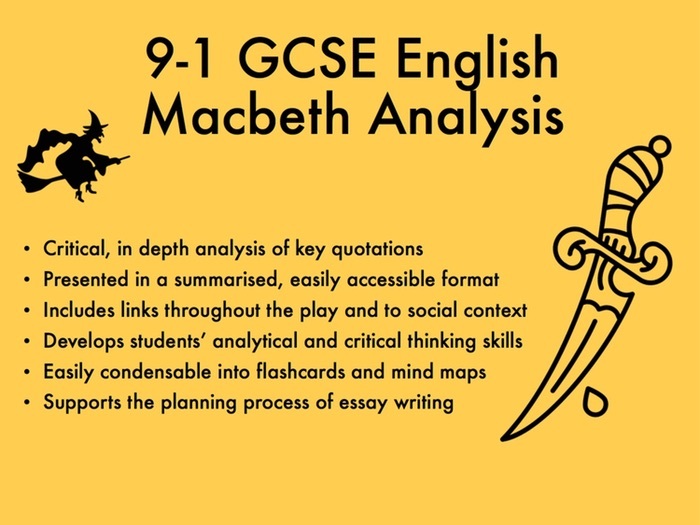 This is because they enabled me to successfully answer difficult 4-6 mark questions whilst recalling the knowledge required to answer 2-3 mark questions.